Celebrate your special day with Barbie with this Quinceanera Doll! 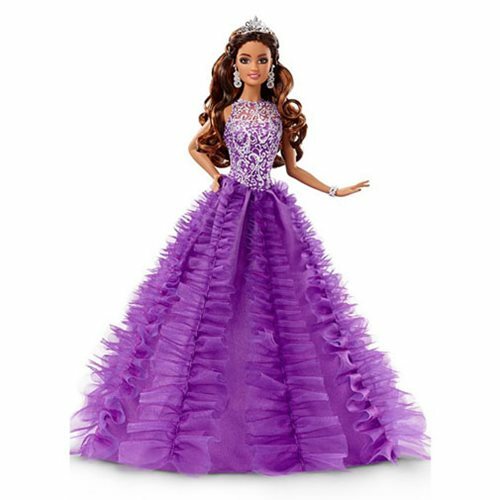 Barbie is dressed in a flowing, royal purple quinceanera gown adorned with tulle ruffle accents and sparkling bodice details just for the occasion. Gracing her flowing brown curls is a traditional tiara that is the perfect complement to her shimmering drop earrings. This beautiful doll makes the perfect keepsake to mark this special day and celebration. Feliz Quinceanera! Ages 6 and up.